It’s the time of year to finally get outside and enjoy some time in the garden. 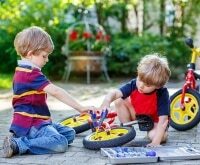 Involving your little ones in this endeavor will make gardening a fun (and educational) family affair. Help kids connect with nature and feel the gratification of growing their very own plants with these tips and must-have tools. 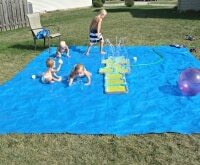 Kids will feel much more invested in the final product if they are a part of the planning. Let them pick out seeds and draw the layout of the space, like this mom did. Have kids create maps and really visualize what their garden is going to look like. The anticipation of planning will gear them up to help with the actual execution! 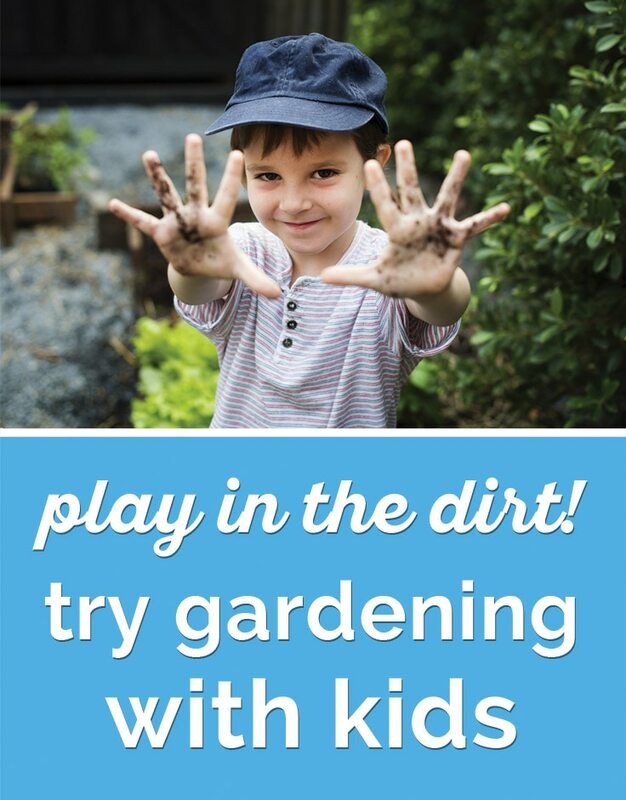 For kids to really ‘dig in’ to the gardening process, they need tools designed just for them. 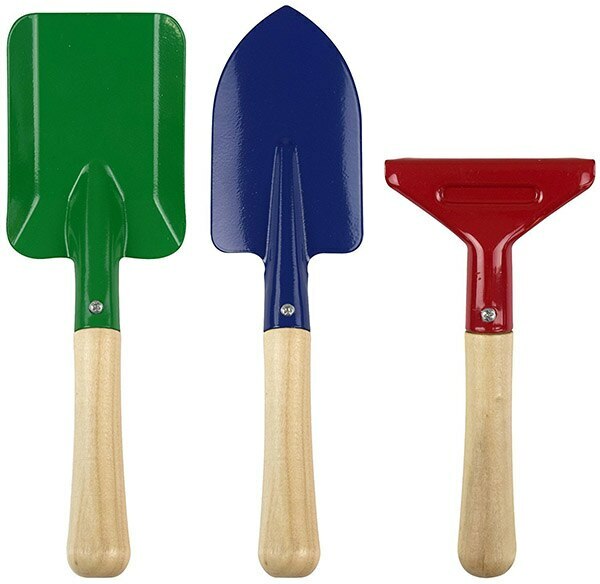 These Kangaroo’s Kids Garden Tools ($7.95 from Amazon) come in fun primary colors but are metal, not plastic, so they actually work! The planting process will probably one of the highlights for little ones. And for most kids, literally getting their hands dirty will be a major part of the fun! These stylish Soft Jersey Kids Gardening Gloves ($7.41 for a set of three flowery pairs from Home Depot) will help kids get messy while staying clean at the same time. This classic wheelbarrow ($40.99 from Target) by Radio Flyer will help kids move dirt from place to place with ease during the planting process. 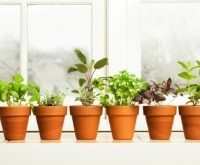 Give kids instant gratification and success with these easy-to-grow plants, which range from sunflowers to strawberries. Edibles are also sure to be a hit with kids and really involve them in the process as they can harvest and enjoy their bounty — be sure to have them help with the cooking too. These easy edibles are a great place to start. Don’t forget the flowers! Encourage kids to enjoy the flowers they grow by cutting and displaying them indoors. While gardening should be a shared experience, individual beds will make kids feel a real sense of ownership and responsibility. 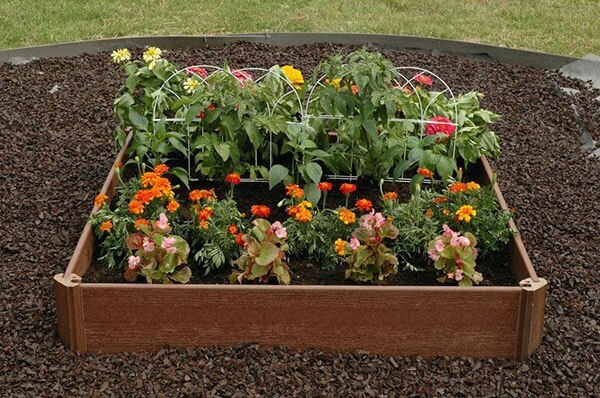 This 42” square Raised Garden Bed Kit ($22.66 from Home Depot) is the perfect place to start. Instead of having kids simply plant and wait for something to grow, encourage them help with upkeep. 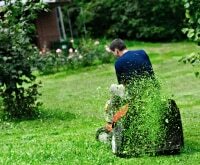 Weeding is a great task for kids. 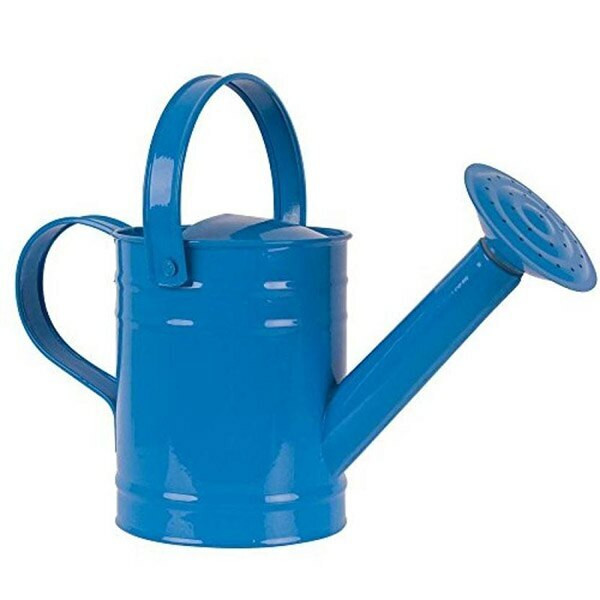 Watering with one of these colorful Twigz Watering Cans ($29.49 from Sears) is an easy routine task that will keep kids involved in the maintenance of their plants. Handmade touches will make your kids’ garden unique. 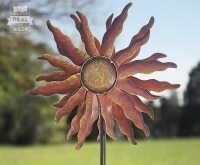 Check out this list of clever DIY garden markers, made of everything from plastic dinosaur toys to stones. 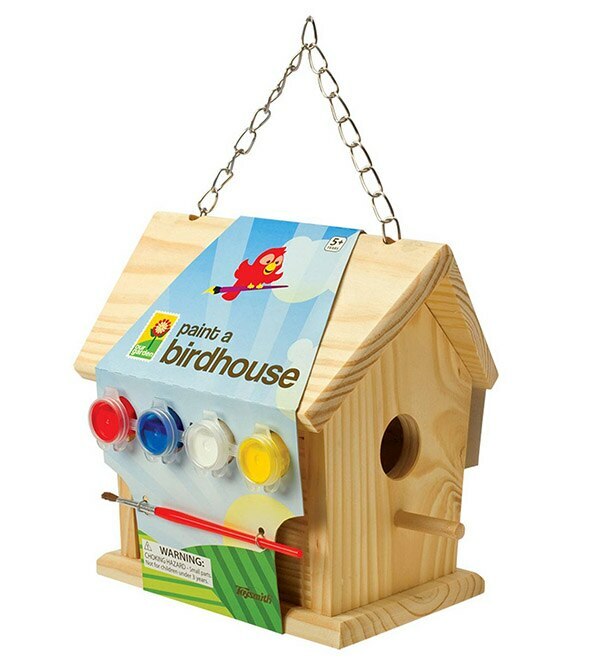 This paint-your-own birdhouse kit ($14.99 at Target) will add a pop of color to their garden space. 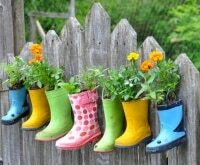 For more ways to help kids personalize their gardens, check out these ideas. 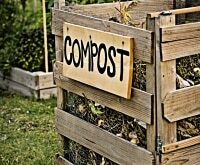 From shredded paper seed starters to beanpole teepees, sprinkling in some creative crafty endeavors throughout the gardening process will heighten kids excitement. Slimy worms and creepy insects will only make gardening more intriguing for little ones. Make a point of searching through plants for creepy crawlies and explain the role that they play in the garden. 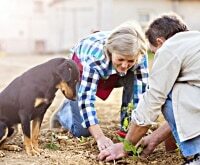 Check out this article on how to attract beneficial critters. 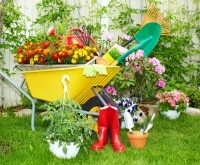 Don’t treat gardening like a chore or endeavor resulting in either success or failure. Instead of asking your kids to go work in the garden, invite them to explore and check up on their plants. 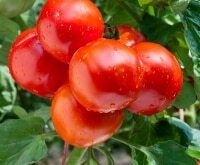 If some seeds don’t make it, treat it as an experiment rather than a failure. Let go of any expectations of perfection. Making gardening a learning process means more fun for all involved. 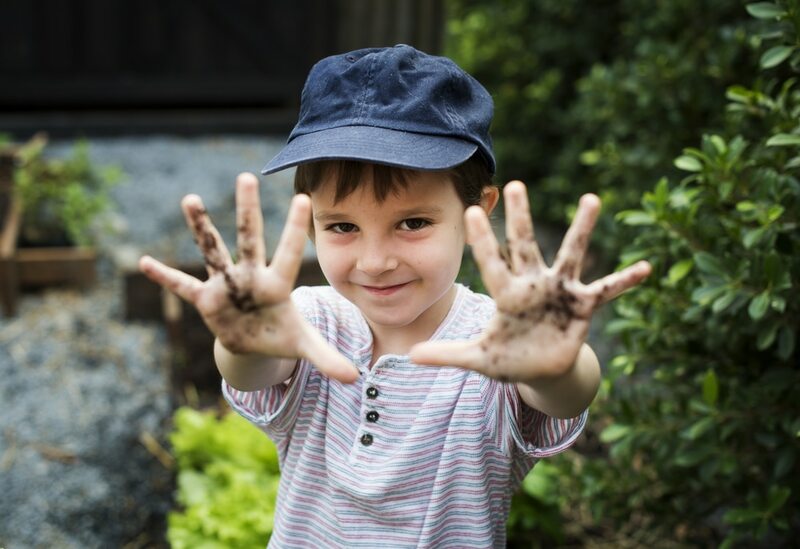 Do you have any tips of your own for gardening with kids? I couldn’t find the Fannie May coupon. Unfortunately, the coupon flyers that came with the Sunday newspaper on 9/17 are long gone with recycling.